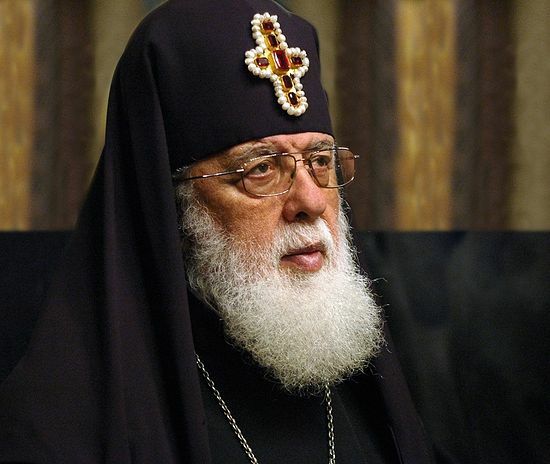 Moscow, October 29, Interfax - Catholicos-Patriarch Ilia II of All Georgia has called for rapprochement between his country and Russia. “I have great respect for Russia, and I pray for Russia. You see, faith is the basis of everything. Russia and Georgia have the same faith, but we have moved away from each other. I’m very said about this. It’s essential that our countries should restart dialogue,” Ilia II told Russian government daily Rossiyskaya Gazeta in an interview a transcript of which is published in Wednesday’s issue of the paper. “What does Russia mean to me today? It means what it always has. Russia is a country that is looking for its own path. It is in Russia that I have received my theological education – I’m a graduate of the Moscow Theological Seminary and Academy. It is there that I shaped my world outlook and my spiritual character,” he said. “Politicians are trying to tear our peoples away from each other, but, thank God, they are not successful. I’m sure that our peoples will have the strength and wisdom to stop and look at each other. What we have in common needn’t be searched for, it’s obvious. We shouldn’t move any further away from each other, we should ask each other for forgiveness, draw some conclusions and start talking,” Ilia said.